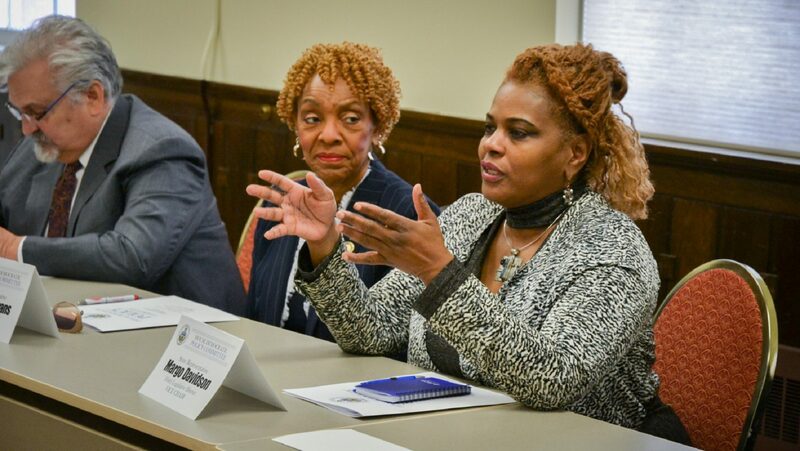 Dr. Adrienne Johnson, at right, speaks to Democratic lawmakers in York, Thursday, March 28, 2019. (York) – Speaking to state House Democrats, Dr. Adrienne Johnson painted a harrowing picture she says is all too common. 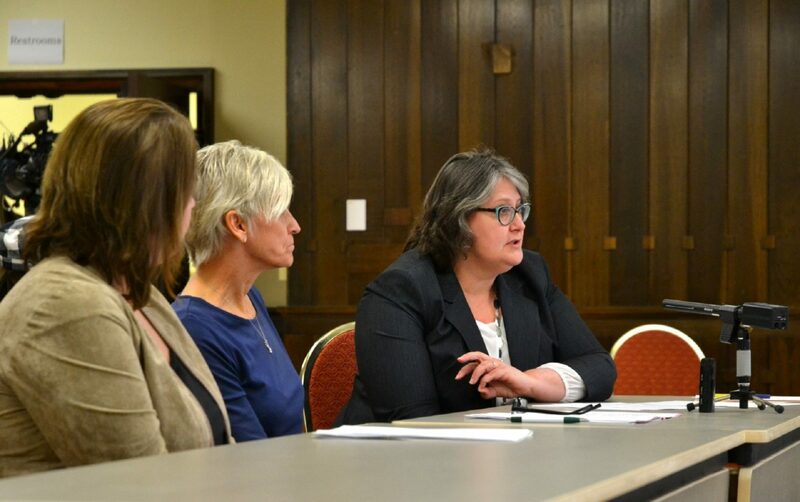 Democratic State representatives hear testimony in York Thursday, March 28, 2019. From right: Margo Davidson, Delaware County, Carol Hill-Evans, York County, and Mike Sturla, Lancaster County. 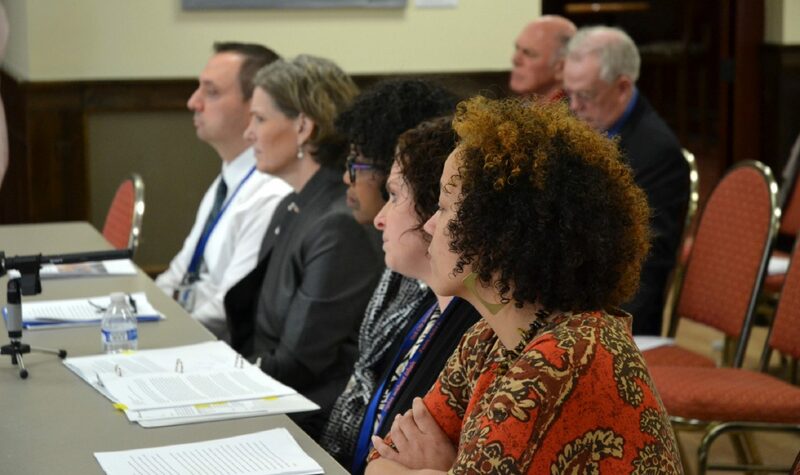 Panelists address lawmakers on the House Democratic Policy Committee in York, Thur., March 28, 2019.